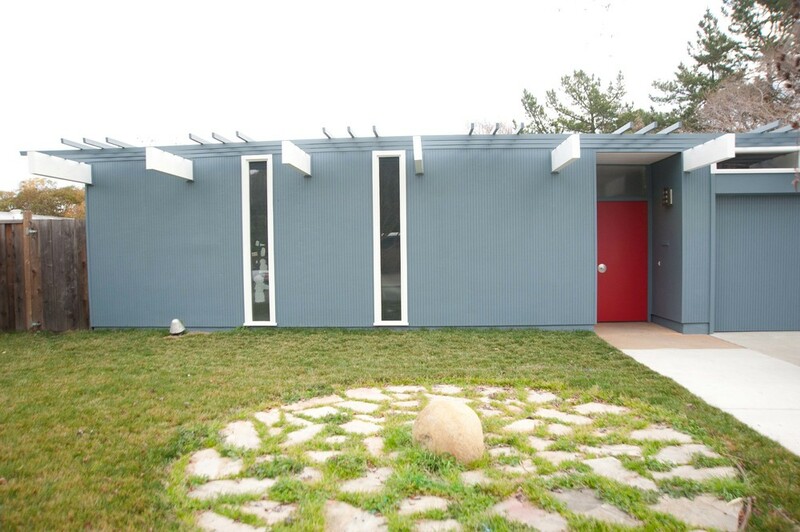 This Eichler style home in Walnut Creek, Ca has replaced a lot of the siding on the house as well as two of the main beams within the house. 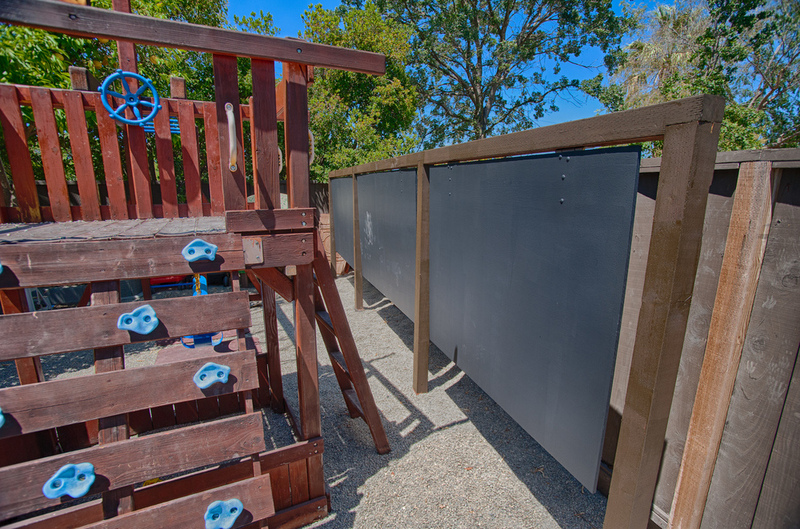 We put a lot of attention into the care of Eichler beams by using aluminum caps custom made for each beam to keep out moisture and weathering. Many times we’ve seen damage from the pressure of supporting garage doors on the main Eichler beams. In this project we custom made an aluminum framed garage door while keeping the original siding as to relieve pressure to the main beams. We used engineered beams with finished look to keep original Eichler look. Garage doors are mechanized with custom welding and support. Currently no existing hardware is made to provide the same function. 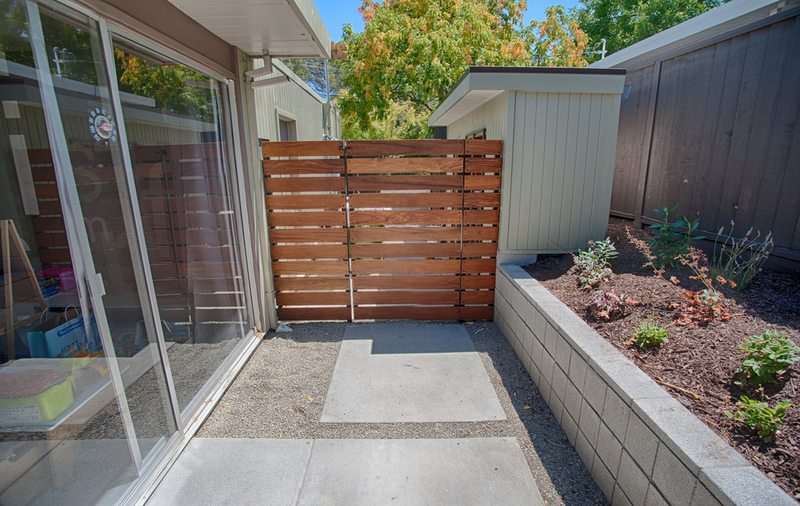 The backyard at this home has a modern feel with an Eichler look to it. Square face cut cinder blocks, precast supports and a floating bench were used in the creation of the walls and sitting areas. 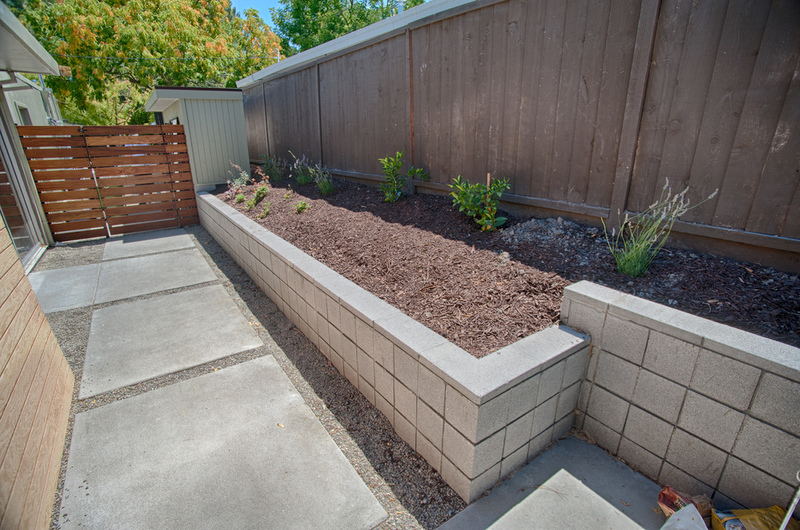 An acrylic stucco coat was applied to the cinder block walls to keep things simple and functional. 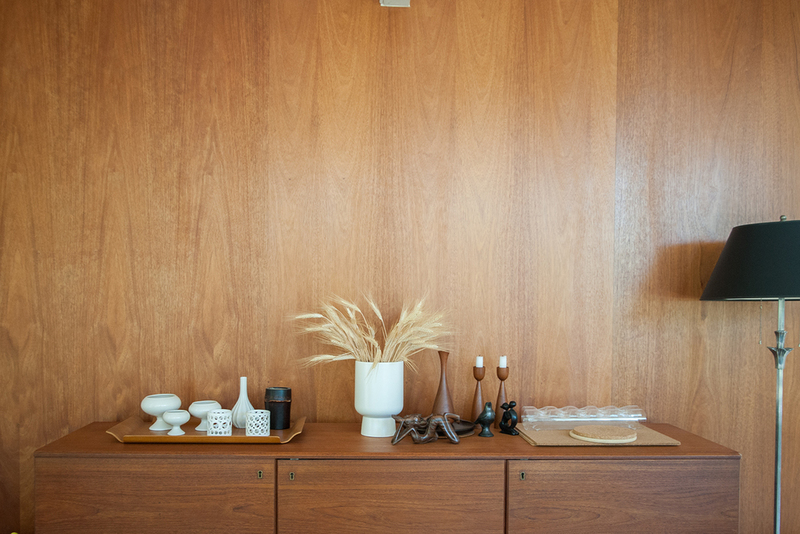 The previous owner of this Eichler home had the original mahogany wall panels painted over. We helped the current owner restore the original look to the dining area, living room and hallway.